Up to 150 Conservative MPs will support a no confidence motion against House of Commons Speaker John Bercow after he said he would not allow US President Donald Trump to address Parliament during a state visit, breaking protocols of impartiality. James Duddridge, Tory MP for Rochford and Southend East, described Bercow’s comments as “wholly inappropriate” and has tabled a no confidence motion to remove him. The early day motion (EDM) – a way for MPs to register concern about an issue – was tabled as Parliament rose for its February recess, which Duddridge said would give his colleagues time to think about the issue. 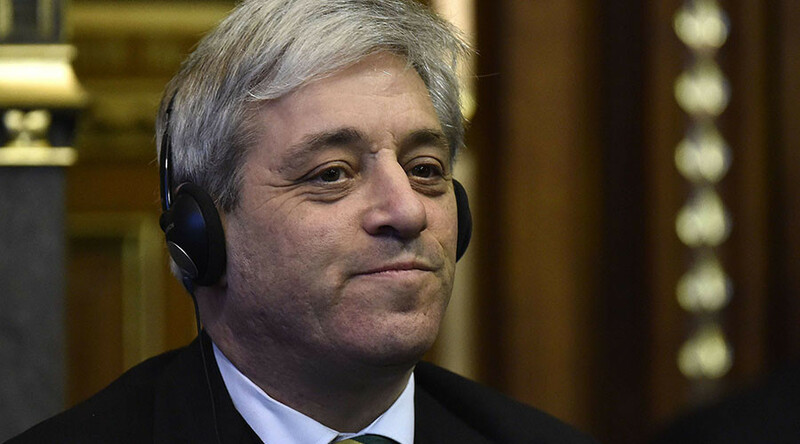 Conservative MPs opposed to Bercow want a “fresh speaker,” according to the Telegraph. “He has got to go. He can no longer reasonably chair as speaker, this is the straw that broke the camel’s back,” Duddridge said. In order for a debate to be held on the issue, parliamentary time would have to be allocated. Duddridge said there are a number of possible ways that could happen. If the government refuses to allocate time, the issue could be selected for a formal debate through a request to the Backbench Business Committee, or even through a public “Bercow must go” parliamentary petition to trigger a vote. The motion is unlikely to secure a majority, however, and would not be binding. Labour says it will oppose a vote of no confidence, and even some of Bercow’s most ardent Tory critics have voiced their support. Facing criticism from his own Conservative ranks, Bercow, who has been speaker since 2009, was forced to defend his comments. “I was honestly and honorably seeking to discharge my responsibilities to the House,” he said. 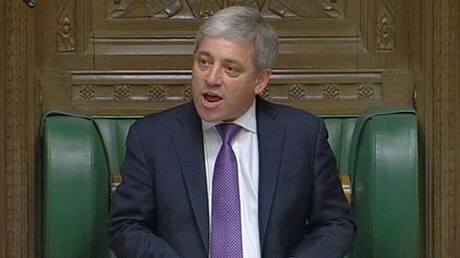 Bercow has subsequently faced calls to resign on the grounds that he breached the neutrality expected of the speaker. A petition was even launched to get him sacked.